Many people on the internet who owns a website will try to test the latest version of the WordPress in a sub folder so that it doesn’t affect the main domain. It’s quite common among the WordPress users to test the website in a new folder. You must follow the below instructions to transfer the WordPress into a new folder. Have you ever encountered a situation wherein you have ended up installing the WordPress in wrong directory? In case, if you have installed the WordPress via the control panel of the web hosting, then moving the website to a correct location is pretty much simple. You must initially login to the site’s folder via FTP and move all the database files from old folder to a newly created folder. After doing this everything gets broken on your WordPress and in fact you will not be in a position to access the website. In case, if you try you will redirected to a 404 error page. 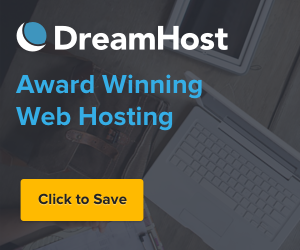 In a simple way, you can access your site by logging into the site’s database by seeking the details from your web hosting company. Upon accessing the site, you need to look out for the wp-options table and then find the site URL row in the table. Later you must edit the site URL row and tap on the Go button to save the changes made. Upon saving it, you must again login into the admin area and then reach the Settings page and click on the option displayed as General. Once you reach the General tab, you can check that both your existing WordPress address and the site address are set as new URL. The .htaccess file that you have in your theme’s folder will administer the site’s permalinks and even your site’s new URL. In order to fix the permalinks, you must reach the Settings page and tap on the option Permalinks. On opening Permalinks page, you can furnish different URL choices and then save Changes. After hitting the Save Changes, everything on your site will start working perfectly except the images. You are provided with two unique ways to fix the images. If you own a website with less number of posts, then you can manually edit and modify the image URLs. But in case of large website, you should set functionalities in such a way that everything will be done automatically. To fix the issues with images, you must download, install and active the Velvet Blues Update URLs plugin. On installing it, you must point to the Settings and update the URLs by entering both your old and new URL. After this, you need to click Update URLs Now.